Discussion in 'Hardware' started by Robert Wiesenmüller, Feb 15, 2018. Hardware easter sale is live now. Here you get to the store. 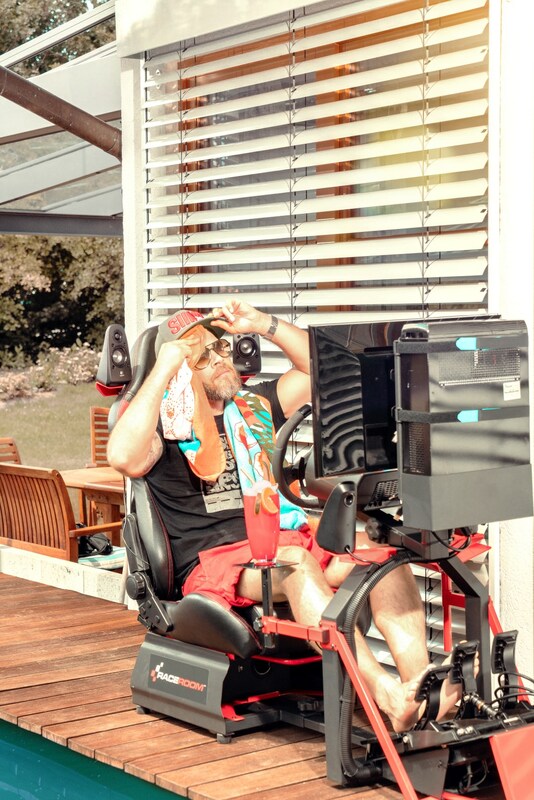 Sidney Hoffmann is already enjoying his RaceRoom simulator. If you are interested in RaceRoom hardware, make sure to watch this place on this Friday. Motorsports goes into the summer break – RaceRoom goes into the summer sale! You can save a lot of money when you purchase game seats or accessories between July 20th and September 9th! Are you looking for a plug and play solution? 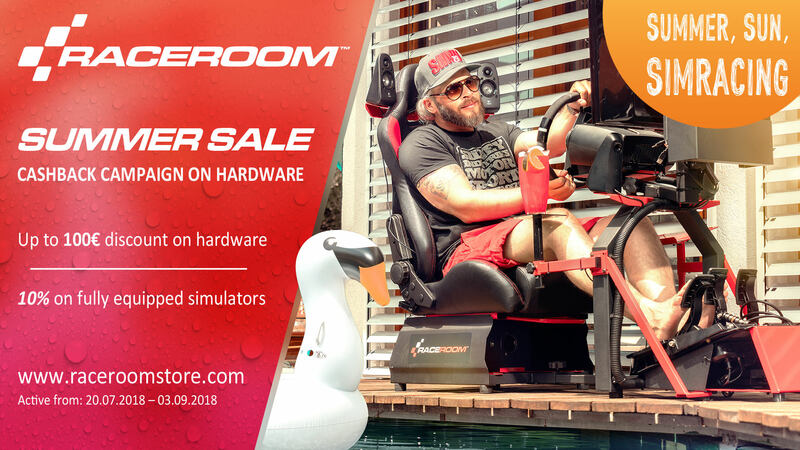 Last chance today if you want to benefit from the RaceRoom Hardware Summer Sale! 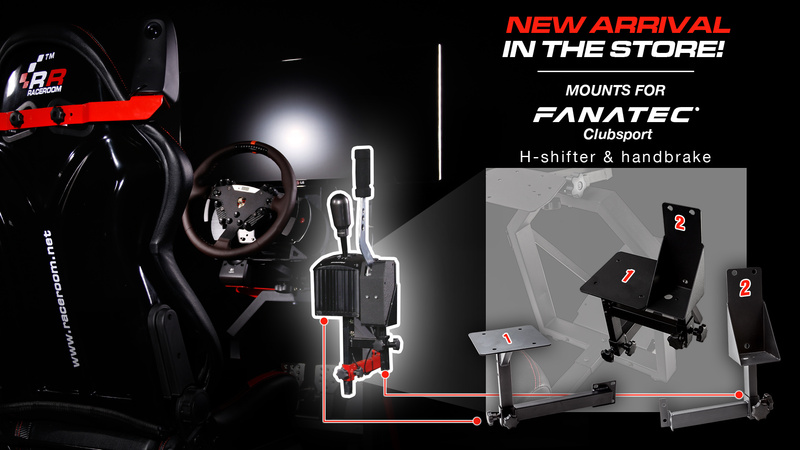 Are you looking to mount your Fanatec Clubsport Shifter or Handbrake to your RaceRoom Gameseat? We now have the solution in our store - available individually or as a bundle! 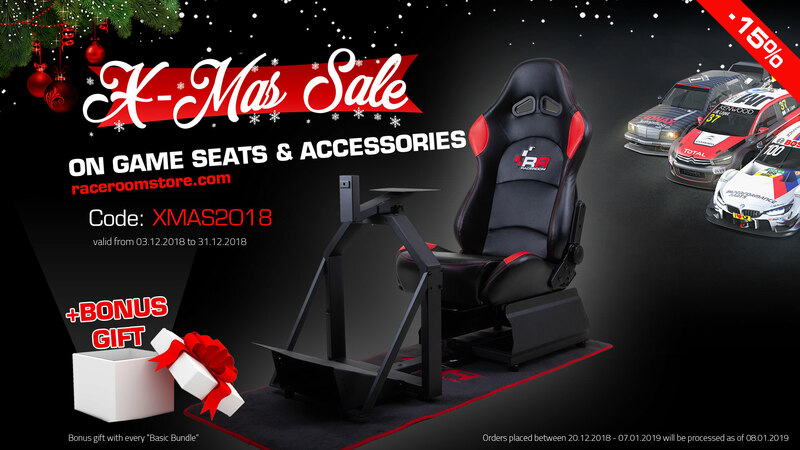 Are you looking for a christmas present for your simracing friends... or maybe for yourself? 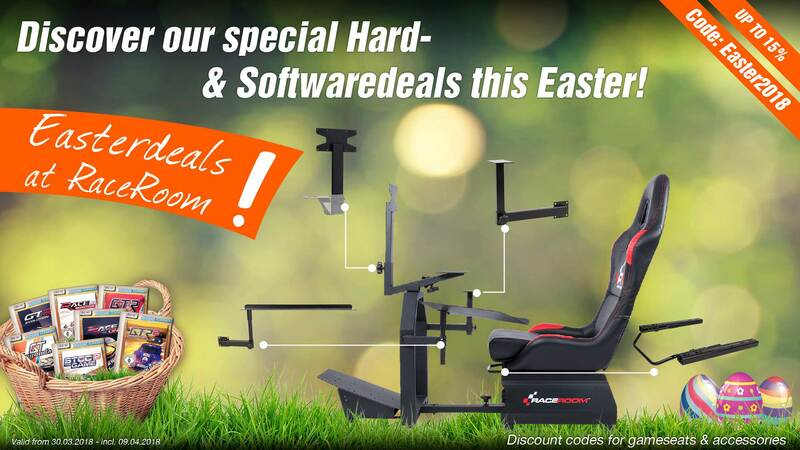 When you order RaceRoom game seats or accessories from now until the end of December, you will receive a 15% discount! Make sure to check out our special offers - a game seat including seat rails and stiffening profiles with an additional discount. If you order one of the bundles, you will also receive a bonus gift on top!